Outwear - CANGIARI STORE - Made in Goel s.c.s.p.a. Outwear There are 48 products. 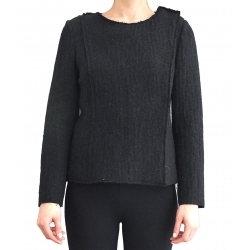 Organic Cotton and Organic Wool jacket with asymmetric neck and handwoven insert. 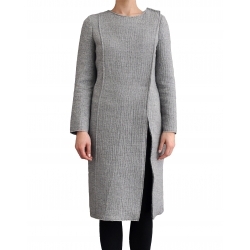 Organic Wool, Alpaca and Organic Linen jacket with asymmetric closure. 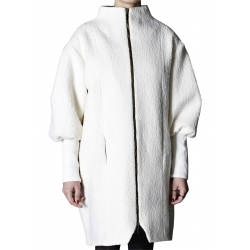 Organic Wool, Alpaca and Organic Linen coat with snap button asymmetric closure. 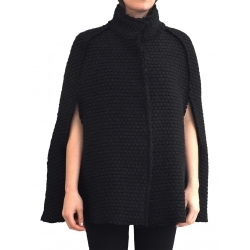 Organic Wool, Alpaca and Organic Linen Coat with handloom cuffs, cowl zip neck. 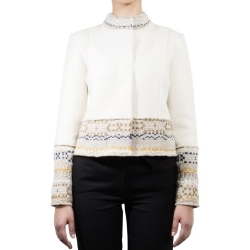 Organic handwoven short jacket. Entirely handwoven garment. The fabric has an inside backing of black organic cotton. Hand-sewn bronze metal hook closure. Raw cut finishing. Composition100% Organic Silk.Handwoven fabric: 80% Organic Cotton, 20% Organic Linen.